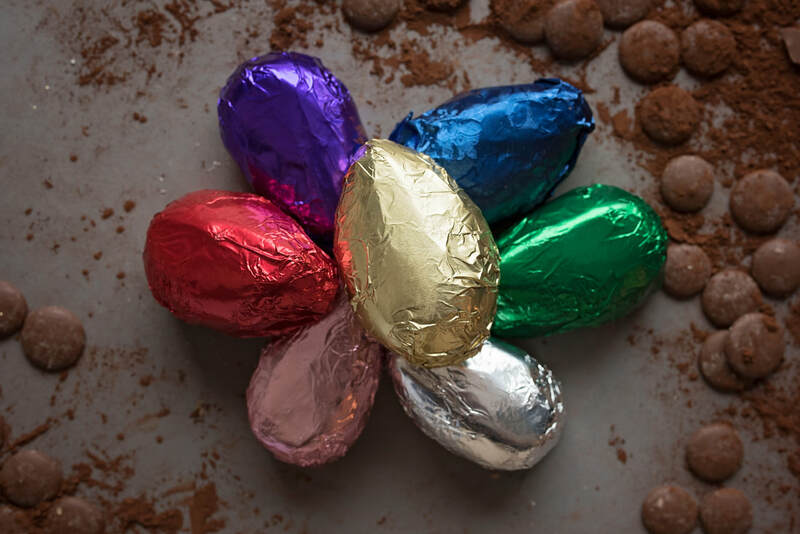 Our Easter cream eggs have proven to be one of Village Treat`s biggest successes; every year, we make thousands and thousands of our delectable Easter Cream Eggs for social events, fundraisers, and for Easter shoppers at our outlet store. Each cream egg has a creamy, melt-in-your-mouth interior that can be enrobed in Milk, Dark or White Chocolate. 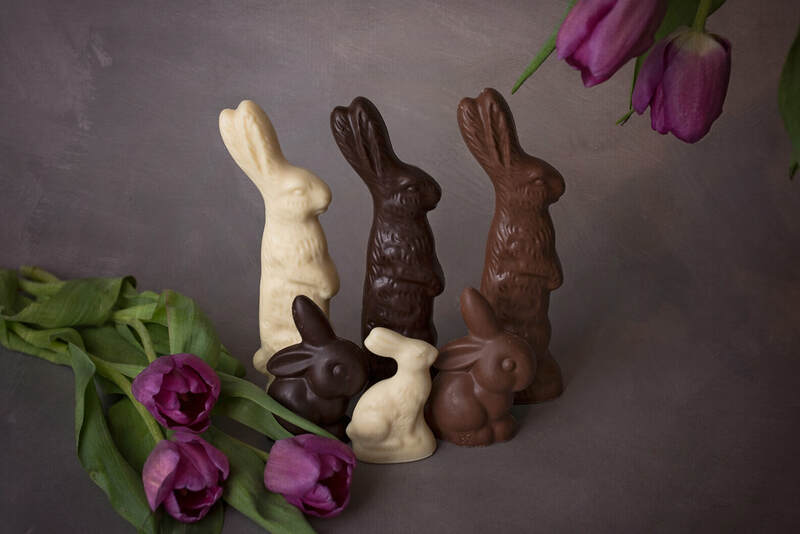 Flavours include ,Milk Chocolate Bordeaux Cream, Milk Chocolate Peanut Butter, Dark Chocolate Butter Cream, Dark Chocolate Mint Cream, Dark Chocolate Coconut, Milk Chocolate Fudge, and Dark Chocolate Maple Cream (not pictured). Each egg retails for $3.00- $3.50. *Contact the Village Treats Outlet store for fundraising opportunities. 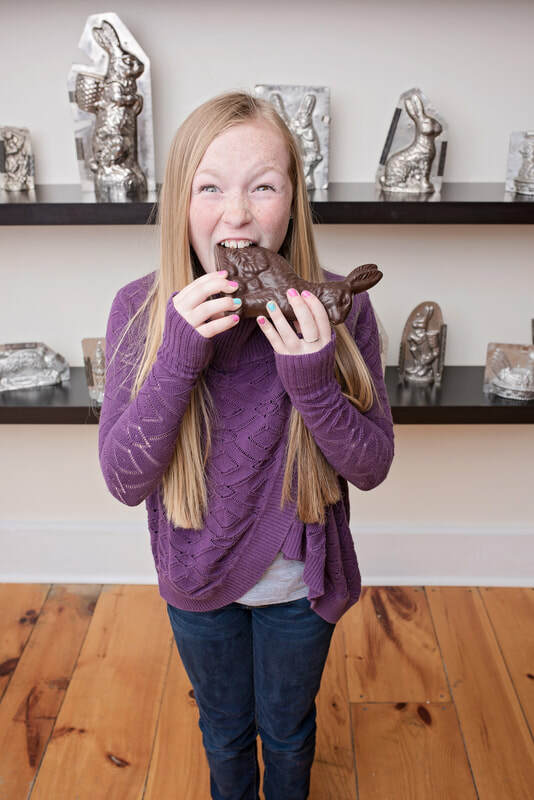 Filled with barks, brittles, Easter Eggs, gummies, molds-you name it. Just name a price range ($10-$150) and we can make up an Easter-themed basket that would make the perfect gift to any loved one on Easter morning.